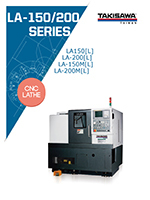 The LA-250 CNC Lathe is a Standard Turning CNC X/Z axis Machine, which is rugged multi purpose CNC lathe with box guideways and optional C- and Y-axis models. 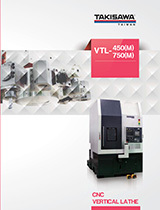 Its rigid heavy duty 10 tool turret and powerful spindle, combined with an extra heavy duty one piece machine bed, all precisely machined in house by Taiwan Takisawa to strict quality control standards, enable consistent production of highly accurate components over a long life span. 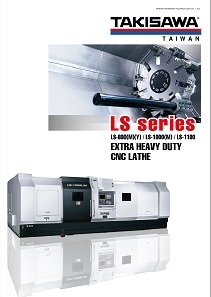 It is designed for a 30.1 maximum turning length and 3/(3.5) bar work capacity. 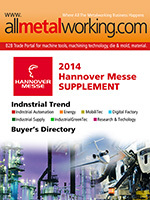 If you are not allmetalworking member, Please join us first! 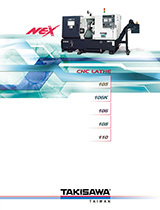 Taiwan-Takisawa-NEX-100series are Standard CNC Lathe for Turning and Cutting. 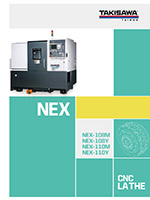 Models of NEX-100series include NEX-105, NEX-106, NEX-106K, NEX-108,NEX-110. 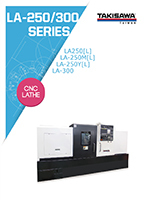 All models of NEX-100Series CNC Lathes equip high speed and high accuracy servo motor turret.